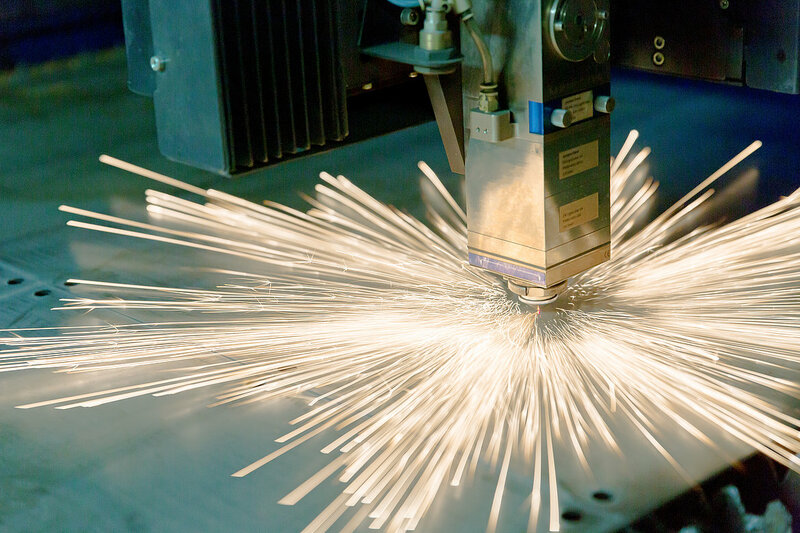 Lasers are precision tools used in a wide variety of applications in many industrial sectors to optimize manufacturing processes and satisfy the need for ever increasing quality of components (Figure 1). This is especially true for the electronics and semiconductor industry where requirements on accuracy and speed are higher than most other places. 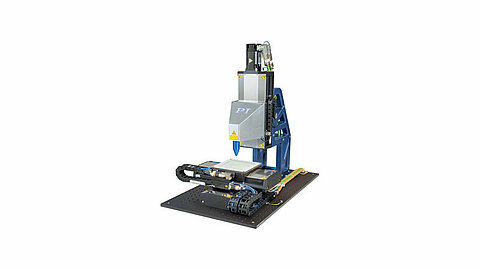 As far as throughput and precision is concerned, laser power is usually not the limiting factor—gains in productivity and quality come from high performance positioning systems, motion controllers, and software along with higher speed communication and synchronization between motion platforms, laser controllers, and beam steering units. Diamonds are often laser engraved with a code or serial number to certify their authenticity. Here, a multi-axis, high-dynamics positioning system moves the workpiece in the X and Y direction while the laser fires away. Positioning of the laser objective in the vertical direction is achieved with another high dynamics linear stage. 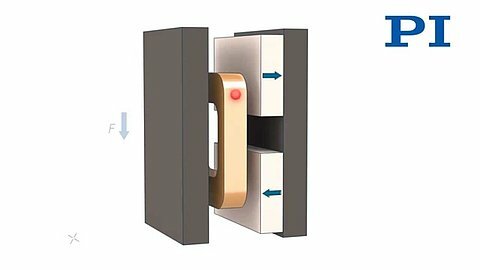 3-phase linear motors and voice coil drives (for shorter travel ranges up to 1”) are well established for high speed positioning and scanning (Figure 2). They combine high accelerations and velocities with virtually unlimited service life due to their non-contacting delivery of force. For short travel ranges, scanning frequencies in the 10Hz range are feasible. Fig. 2b: Operating principle of a voice coil motor (Source: PI). 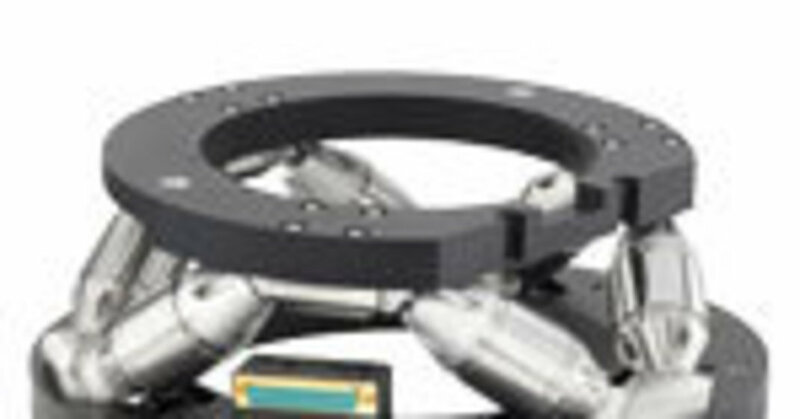 Guiding precision in the sub-micron range is ensured by crossed roller bearings, and direct-measuring integrated linear encoders provide the required position resolution and repeatability (the best linear encoders currently available can resolve motion to below one nanometer). 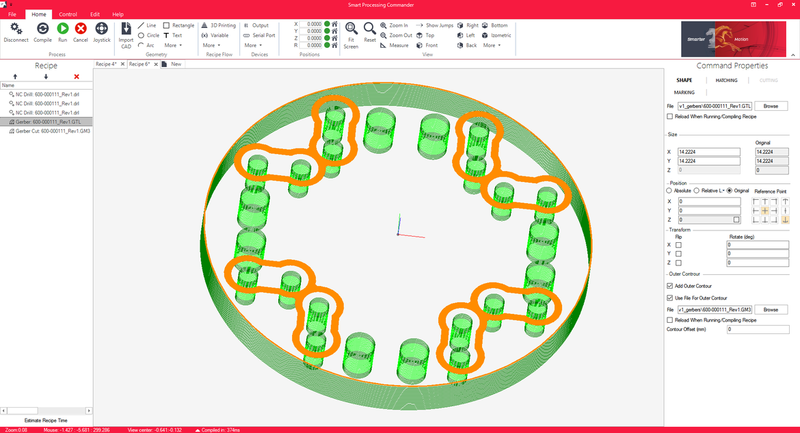 An advanced motion controller triggers the laser dependent on both position and speed—matching positioning system and laser exactly to each other when running complex patterns, circles or sharp edges. 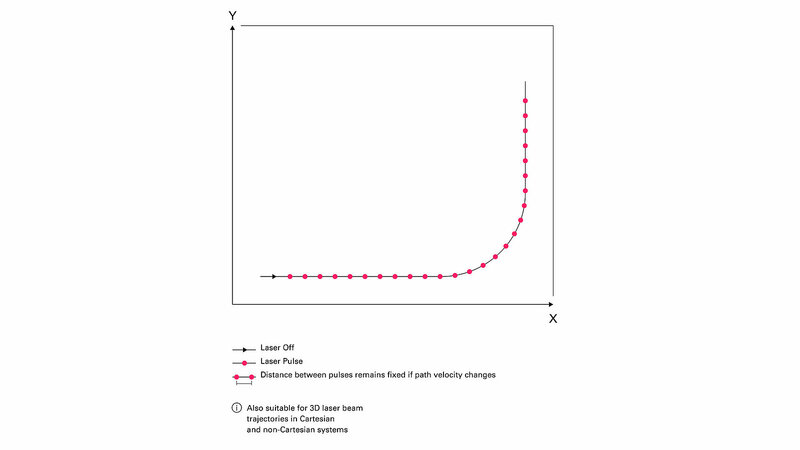 An optimized algorithm in the controller synchronizes the motion of the workpiece with the laser pulses so that the shape, size, and gap between adjacent points remain constant (Figure 3). Dicing semiconductor wafers also demands a highly precise motion system. 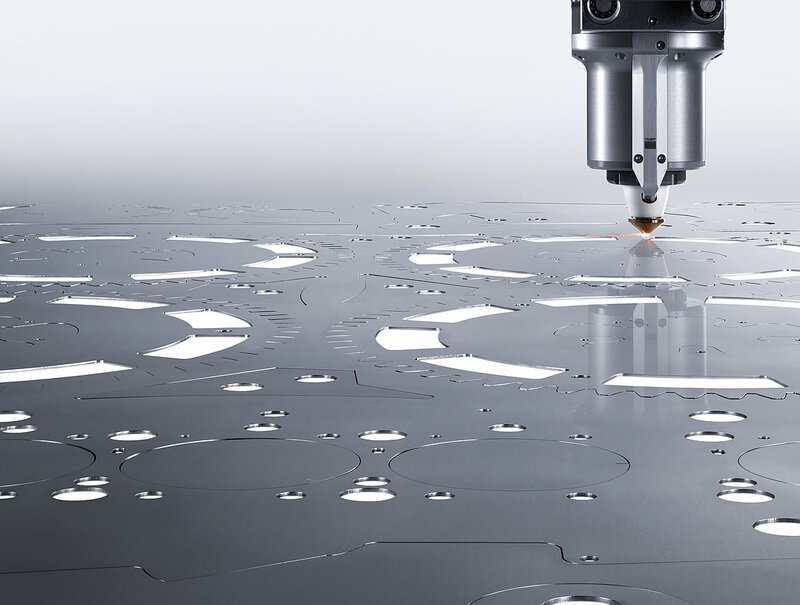 The cutting width must remain constant and deviations along the programmed path must be limited to a few micrometers per meter to avoid damage of individual dies during the cutting process. An air bearing planar stage such as the A-322 is a suitable positioning system for such applications (Figure 4). 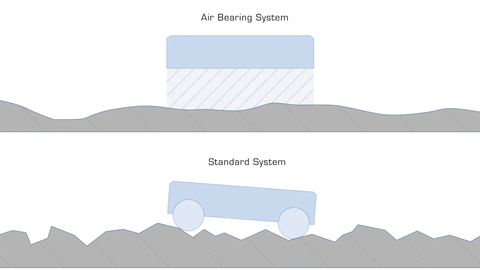 Air bearings replace mechanical contact with an air film, eliminating friction, particle generation and wear. The A-322 stage is driven by sine-commutated 3-phase linear motors providing accelerations of 20 m/s². The lack of friction allows for better geometric performance and motion with very high speed constancy. Ironless linear motors are non-cogging, providing smoother motion and higher resolution to one nanometer and below. The combination of air bearings, linear encoders and ironless linear motors maximizes the throughput while ensuring the highest precision. The requirements for production and processing of stencils and printed circuit boards are similar (Figure 5). 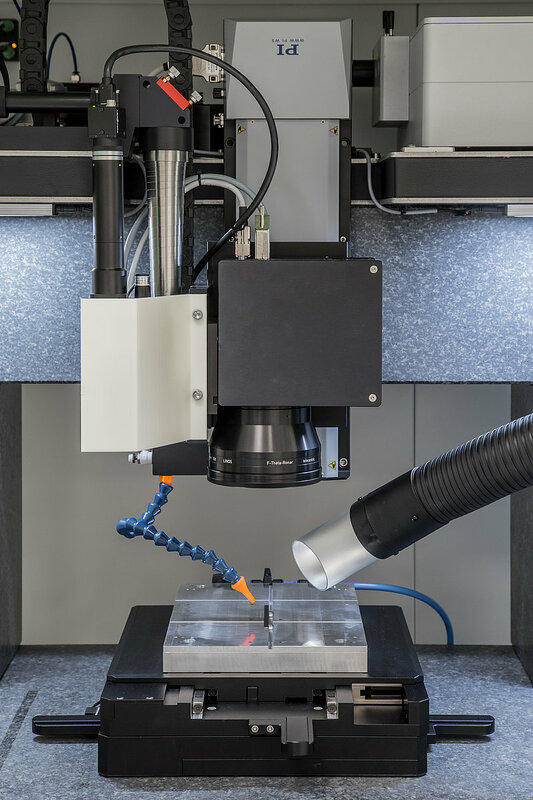 Workpieces and structural density are particularly large here, thereby demanding motion and positioning systems with longer travel ranges while still maintaining micrometer precision. 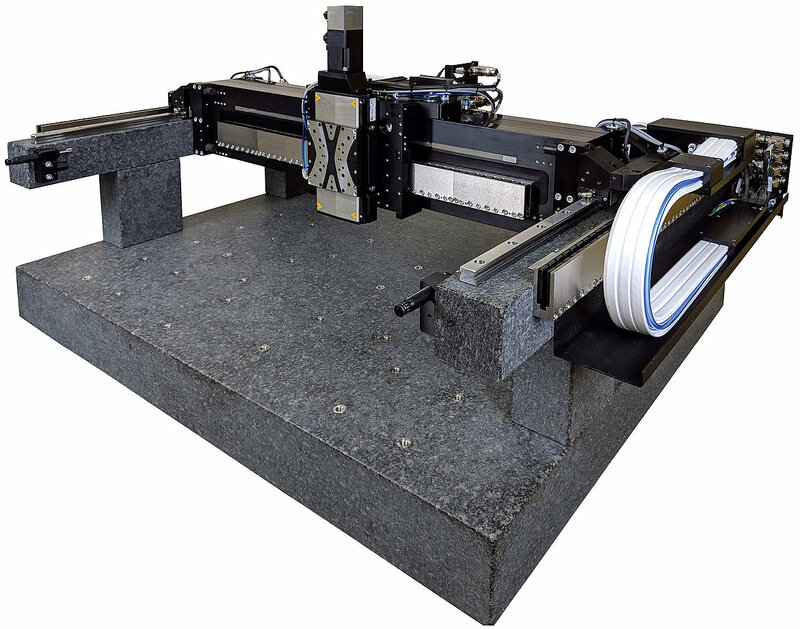 Gantry motion systems (Figure 6) with their high stiffness but relatively low-inertia motion platforms are the best approach. Here, the part to be processed is stationary while the laser head and the optics are moving. 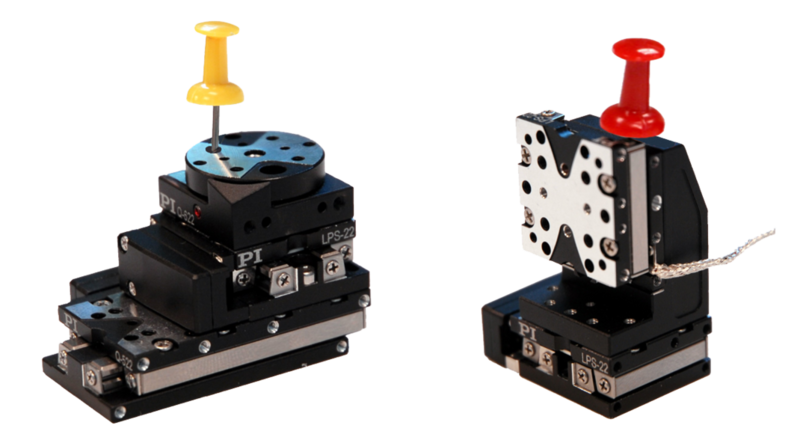 Cable management and operation are optimized so that vertical motion axes, autofocus sensors, and the laser feed can be integrated. 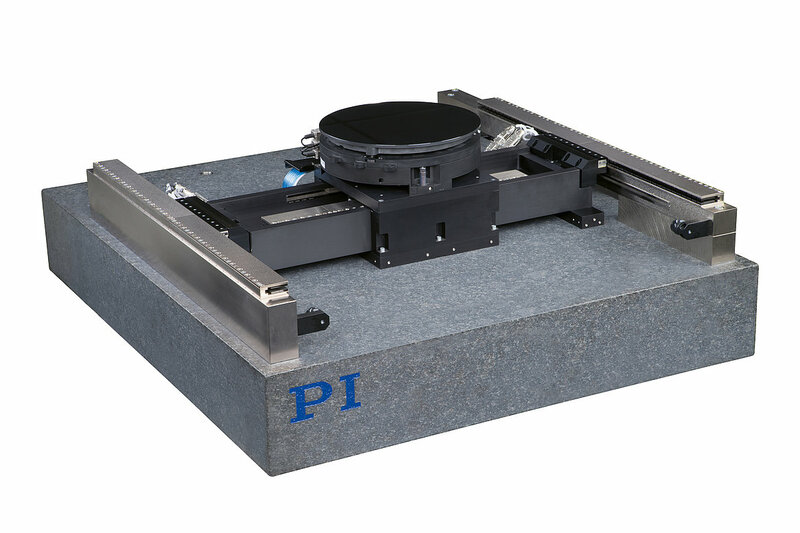 The absolute position measuring systems implemented by PI render the typical initialization / homing process unnecessary— another step towards higher efficiency. 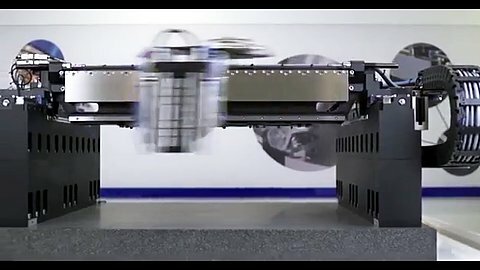 Video: Linear motor-driven gantry for precision automation applications. 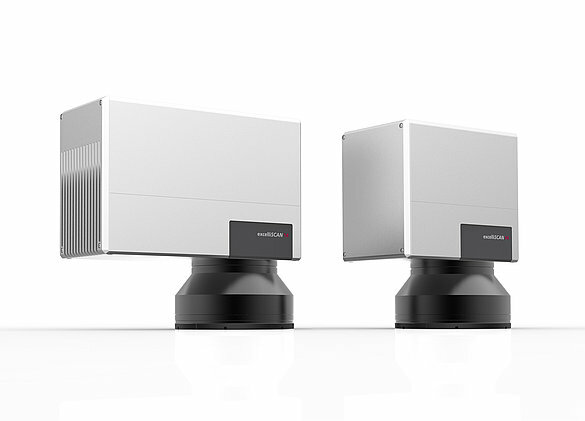 Galvanometer scanner heads can be combined with multi-axis positioning systems. A galvanometer is a high-dynamics moving-coil motor. In modern galvo scanners, a low-inertia mirror is driven in closed loop to position a laser beam with high speed, precision, and repeatability. The combination of two galvo scanners inside one system allows steering the laser beam in two dimensions (Figure 7). Typical scan angles are in the range of +/- 20 degrees. This results in high dynamics and precise functionality for tasks like engraving functional components with display items, like dials. 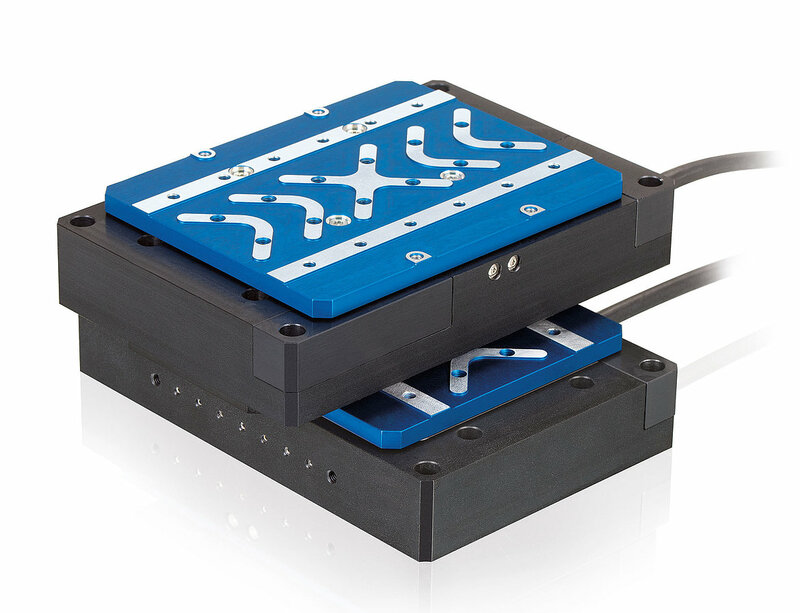 Motion in the XY direction can be extended by a linear-motor driven cross-roller XY positioning stage. 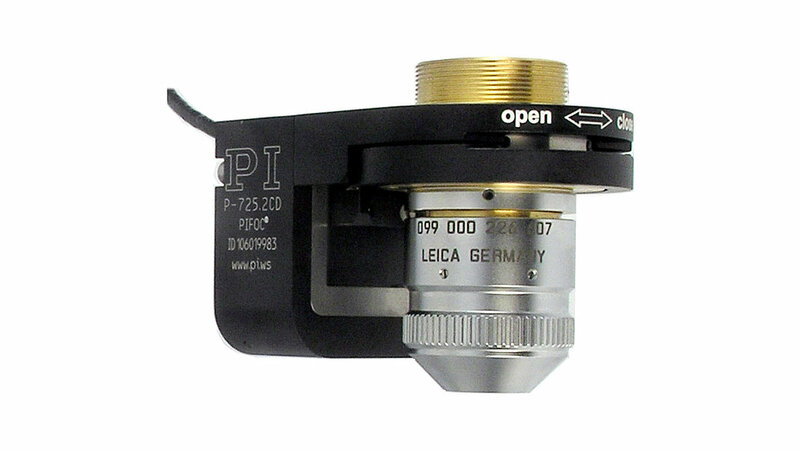 Equipped with optical linear encoders the stage achieves minimum incremental motion as low as 0.02μm and repeatability of 0.1μm. The stage can handle loads of 50 lbs. (Figure 8). Tying motion and laser source together used to be complex, but a special EtherCat capable laser control module now allows direct control of the laser source increasing both precision and throughput. EtherCAT is a modern, cost efficient, open real-time Ethernet-based fieldbus system. EtherCat is short for “Ethernet for Control Automation Technology” and is used by control and system engineers as a robust, high-speed, real-time network for machine control solutions. The flexibility of the fieldbus system and the precise synchronization of all network devices help EtherCAT to gain popularity on a global base. In high performance applications, exact synchronization is a critical factor. 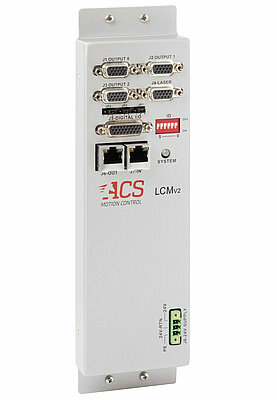 The LCM EtherCAT slave module by ACS (Figure 9) offers a broad range of functions, including digital pulse modulation for dynamic power control, output impulses or gating signals (on/off signals) that are synchronized to positions along a two to six-dimensional motion path or programmable operation zones. 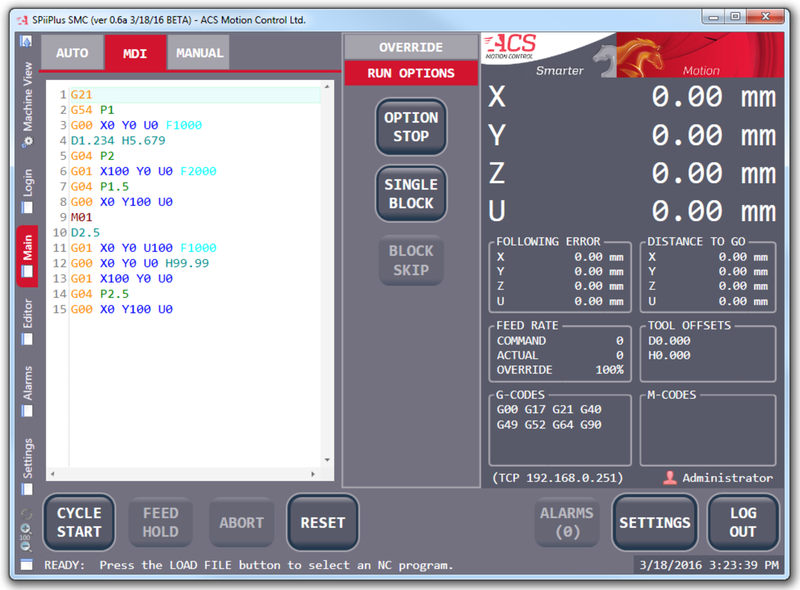 ACS nodes are synchronized applying the EtherCAT Distributed Clocks (DC) mechanism supporting short cycle times: 1msec, 0.5msec, 0.25msec, and 0.2msec (1, 2, 4, and 5 kHz). The LCM module controls virtually any laser via universal electrical interfaces. In addition to the high-speed laser signal output, the module is also equipped with a special lock system, an error input, and an enable output. 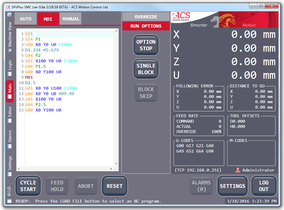 Eight digital I/Os are also available for laser specific functions. 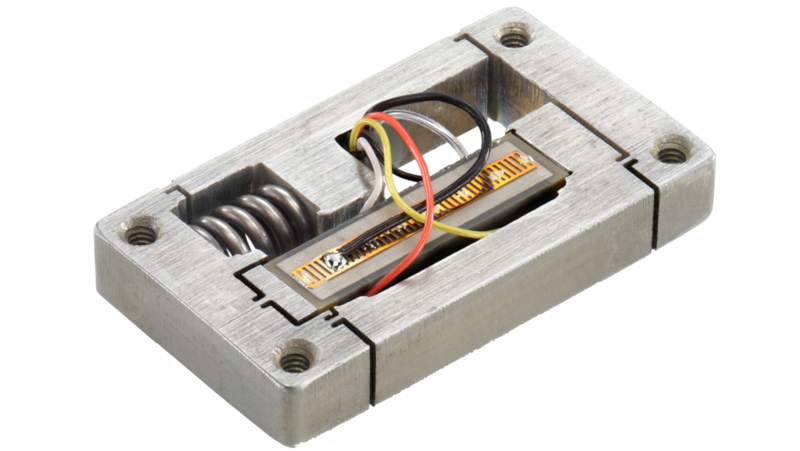 The challenges during development of a robust and scalable laser processing or micro manufacturing machine platform can be solved faster and easier with this type of laser module. Good HMI platforms can provide more simplification (Figure 10a, b). This particularly applies to optimizing the accuracy and repeatability of laser control for motion and for developing the associated software. Machine developers, system integrators, and users benefit equally from this because it results in higher machine performance and reduced expenditure on development. Simple implementations of galvanometer scanners and positioning systems do not operate simultaneously but sequentially, dividing large areas into smaller segments “stitched” together. Large areas with many small details cannot be marked efficiently in this way. Smaller details require high accelerations and large areas require longer travel ranges. A multi-stage approach is recommended separating the trajectories for smaller, lighter, and therefore faster positioning systems with shorter ranges, and for larger, heavier, and relatively slower motion components with longer travel ranges. 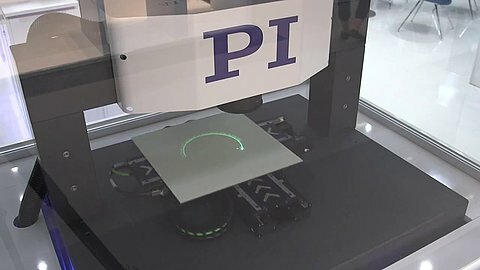 Laser marking functions in a similar way to human writing. The arm, a slow musculoskeletal system, provides gross manual dexterity while the hand and fingers accurately form the individual letters, which correspond to the motion of the galvanometer scanner. Analogous to this, the motion patterns from the XY stage and scanner are synchronized by a controller and run simultaneously during scanning. This process allows efficient marking of large areas with many small details and therefore increases the throughput. 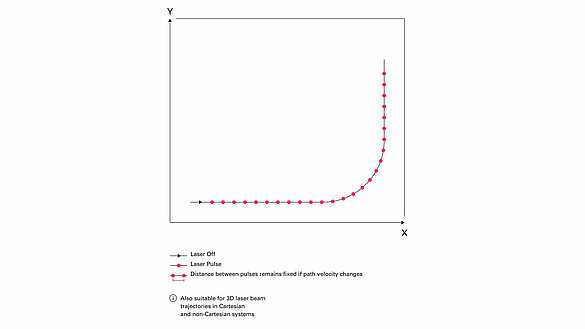 Because smaller laser beam deflection angles have a positive effect on optical errors, higher processing accuracy is achieved when compared to the traditional process; at the same time, stitching errors are eliminated (see fig 11, 12). The combination of advanced motion controllers and highly accurate and dynamic positioning stages gives an edge to systems integrators and laser processing equipment manufacturers. 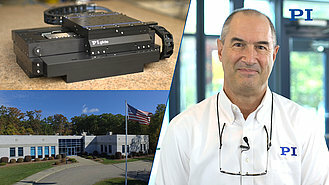 Engineers at PI and ACS are constantly working on better solutions and can now offer world class automation platforms that exceed current standards for quality and throughput. 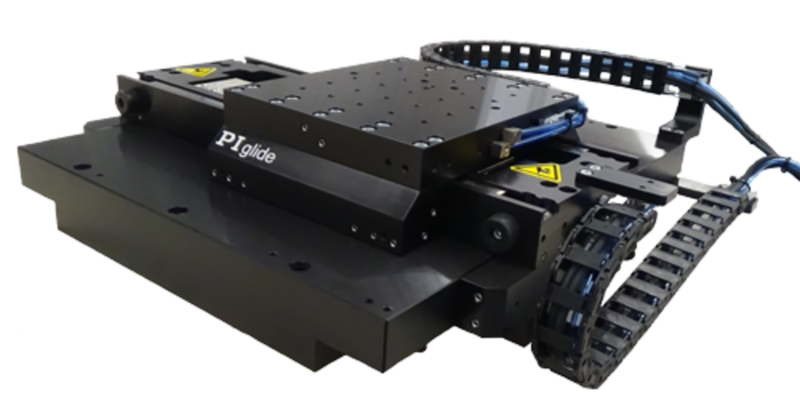 PI’s motion systems are used in applications from bio-technology to next generation silicon photonics chip testing all around the world and are even found on the Mars Rover, delivering out-of-this-world performance and reliability.